Our range of products include yarn blankets, polar fleece printed blankets, double bed woolen blanket, relief woolen blankets, woolen blankets and pashmina woolen blanket. We put forth a wide range of Yarn Blankets to our clients. 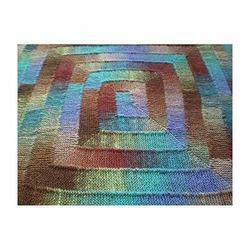 Our offered entire range of these blankets are developed by our skilled and expert professionals utilizing optimum grade yarn that are sourced from the certified vendors of the market to make sure its quality and long lastingness. Further, clients can avail this entire range in different specifications as per their choices. "KDR Woollen Industries", established in the year 1961, is known to be one of the leading manufacturers, suppliers and exporters of this commendable range of Woolen Garments and Yarns. The range consisting of Uniform Sweater, Woollen Jacket and Woolen Pullover, Fire Blanket has a high preference in the market. Manufacturing of these done in accordance with the industry set norms and guidelines, using the finest fabric, wool and modern machines, highly standardizes the products. In addition, the offered range is widely asked for, owing to its reasonable pricing. "KDR Woollen Industries", established in the year 1961, is known to be one of the leading manufacturers, suppliers and exporters of this commendable range of Woolen Garments and Yarns. The range consisting of Uniform Sweater, Woollen Jacket and Woolen Pullover, Relief Woolen Blankets has a high preference in the market. Manufacturing of these done in accordance with the industry set norms and guidelines, using the finest fabric, wool and modern machines, highly standardizes the products. In addition, the offered range is widely asked for, owing to its reasonable pricing. 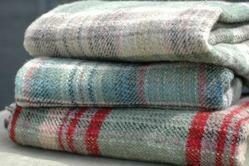 We are indulged in offering Woolen Blankets. Our offered blankets are manufactured using superior grade wool fabrics that are procured from reliable vendors of the market to ensure high quality standards. 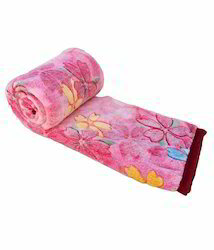 Our offered entire range of blankets is available with us in various colors and sizes as per clients’ choice. "KDR Woollen Industries", established in the year 1961, is known to be one of the leading manufacturers, suppliers and exporters of this commendable range of Woolen Garments and Yarns. The range consisting of Uniform Sweater, Woollen Jacket and Woolen Pullover, Double Bed Woolen Blanket has a high preference in the market. 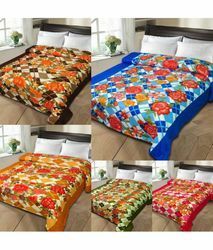 Manufacturing of these done in accordance with the industry set norms and guidelines, using the finest fabric, wool and modern machines, highly standardizes the products. In addition, the offered range is widely asked for, owing to its reasonable pricing. 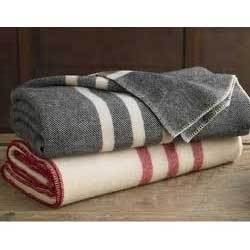 Looking for Woolen Blankets ?